Lane Head Self-cateringJust out of the centre of Ambleside this delightful and spacious holiday home is formed from the major portion of a modern Lakeland villa and offers single storey accommodation with beautiful views. The excellent location is only a few minutes walk from the lake at Waterhead where you can enjoy cruises or boat hire on England's largest lake. 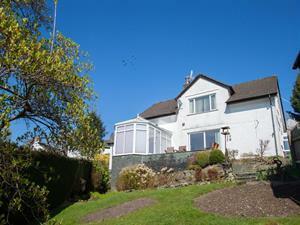 Just out of the centre of Ambleside this delightful and spacious holiday home is formed from the major portion of a modern Lakeland villa and offers single storey accommodation with beautiful views. Lane Head offers weekly bookings starting on Saturday.